5.30 pm: sax player Marius Neset arrives hot-foot from Copenhagen. Now everyone’s here. Introductions. Quick sound check. Food. 8pm: on stage. 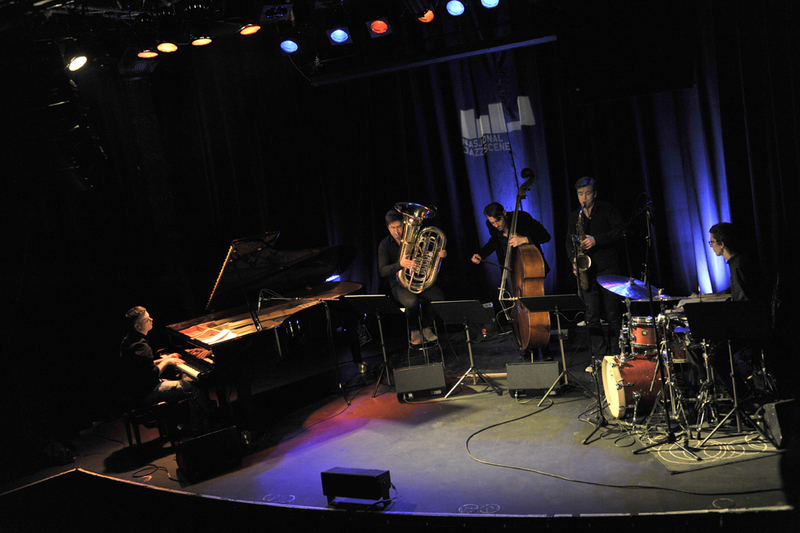 conexions is a concert series I’ve been curating for just over a year at Victoria, the jazz club in Oslo which is home to the Nasjonal Jazzscene. I love the venue; an old cinema with plush raised seats and café tables, a great acoustic and the best bartenders in town. The idea of the series is to bring together UK and Norwegian musicians with new collaborations as well as celebrating some existing ones. So for example, in the last year we’ve enjoyed Cheltenham-inspired Spin Marvel, the piano trio In The Country with legendary pedal-steel player B.J Cole for the first time and the show-stopping Jaga Jazzist and Britten Sinfonia project. But it’s late February, and this is Oslo. Invigoratingly cold, ever vibrant. This is the culmination of conversations between myself and pianist Dave Stapleton (of Edition Records) about using the label’s Norwegian and British musicians in new ways. 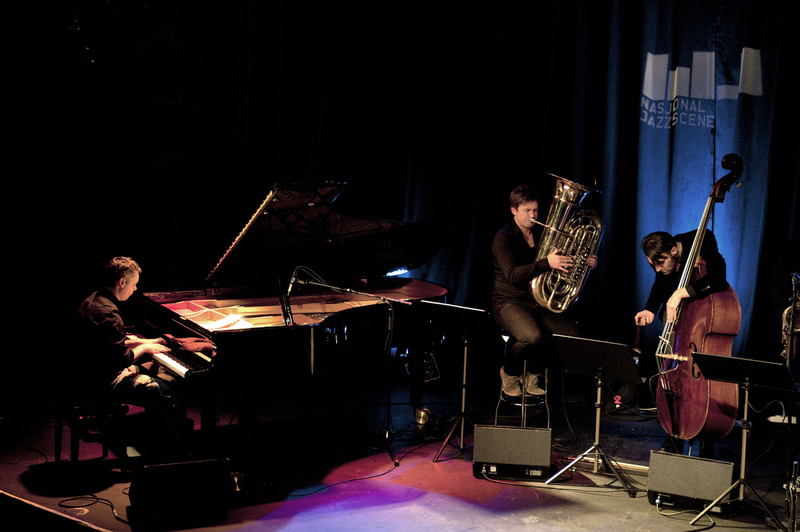 Marius and tuba player Daniel Herskedal had already worked together, so we thought it would be nice to mix them up with Dave joined by trumpeter Neil Yates and inviting soon-to-be Edition artist, the brilliant bass player Mats Eilertsen. Then poor Neil suffered a lip injury! (Get well soon Neil!) But we managed to find a replacement in the form of Troyka drummer Joshua Blackmore. So when Marius arrives later that afternoon, it’s the first time all these musicians have played together. It’s like putting, say, Beckham, Villa, Gerrard, Messi and Ronaldo (substitute your own favourites!) onto the pitch and telling them to form a team and go out there and win. Except these musicians do it. They’ve brought a couple of tunes to weave in to two improvised sets. They respect, trust and are inspired by each other; when I introduce them onto the stage, there’s warm applause and they just come out and play. Dave’s exploration of the piano and his tone are inspiring, Marius “Eagle” Neset soars and flies, Daniel purrs and tugs at the heartstrings, Josh’s beautiful incisive playing complements everyone and makes us long to hear more from him, Mats does what he usually does, just takes you on his direct line to bass heaven. They’ve never played together before but they take us on an amazing musical journey. I’m so excited about sharing this with the Cheltenham Jazz Festival on 4th May. 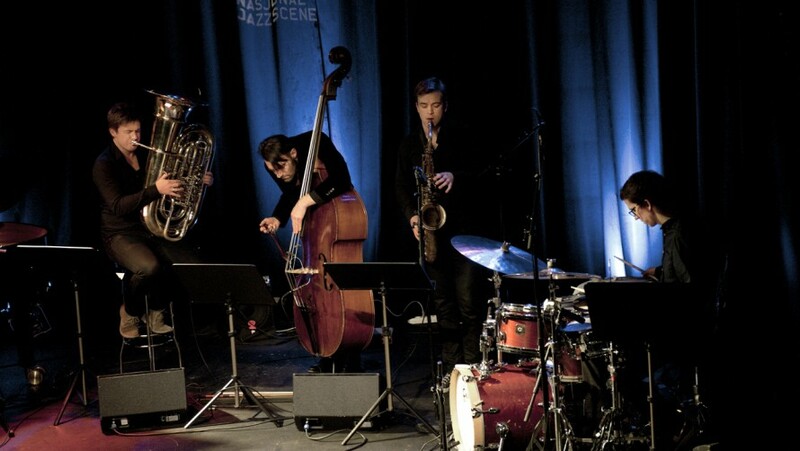 Fiona Talkington presents Late Junction on BBC Radio 3 and curates conexions for Nasjonal Jazzscene Oslo.